Dr. Robert Pettis has lived in Southern California for more than 25 years. He attended medical school and surgical residency at the University of California, Los Angeles, and is an assistant faculty member of the division of Otolaryngology at UCLA. 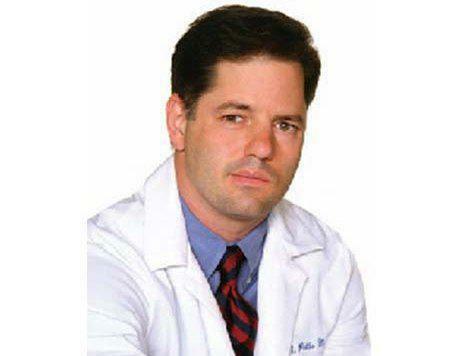 Dr. Pettis has a Master’s degree in Science and Public Health in bioscience and behavioral health, and a fellowship in Otolaryngologic Allergy Medicine. Dr. Pettis is certified in advanced robotic surgery of the head and neck. He has offices in Irvine and Laguna Woods, California. Dr. Pettis provides state-of-the-art care for issues afflicting the head, neck, ears, nose and throat. Dr. Pettis sees both pediatric and adult patients. He treats a wide variety of conditions including cancer of the head and neck, sinusitis and allergies, snoring and sleep problems, swallowing issues, voice and speech disorders, hearing and balance issues, thyroid disorders, and tumors and skin lesions involving the neck, face and head. Dr. Pettis survived critical skull-base surgery at a young age and now is uniquely motivated to provide the highest level of care possible to his patients. His patient’s testimonials speak to Dr. Pettis’ devotion to surgical care of the head and neck. Dr. Pettis is committed to using cutting-edge techniques and technology to achieve the best results in each patient, providing individualized care customized to every patient's unique needs. In addition to both traditional and minimally-invasive surgical techniques, Dr. Pettis is skilled in the use of robot-assisted techniques that provide greater precision for delicate and complicated surgeries so patients can enjoy the best outcomes possible. Dr. Pettis completed his bachelor's degree at the University of California – Berkeley, followed by a master's degree in science and public health (MSPH) at the University of California – Los Angeles. He completed his medical degree, internship and residency in otolaryngology at the University of California – Los Angeles (UCLA). Dedicated to advancing his knowledge and expertise in his field, Dr. Pettis maintains active memberships in professional societies, including the the Association for Research in Otolaryngology, the American Academy Otolaryngology and the Deafness Research Foundation. In addition, he has serves as a faculty member at the UCLA Department of Head and Neck Surgery, providing instruction to surgical residents diseases of the head and neck. Dr. Pettis welcomes new patients, and the practice accepts most major forms of medical insurance.